Well done …. 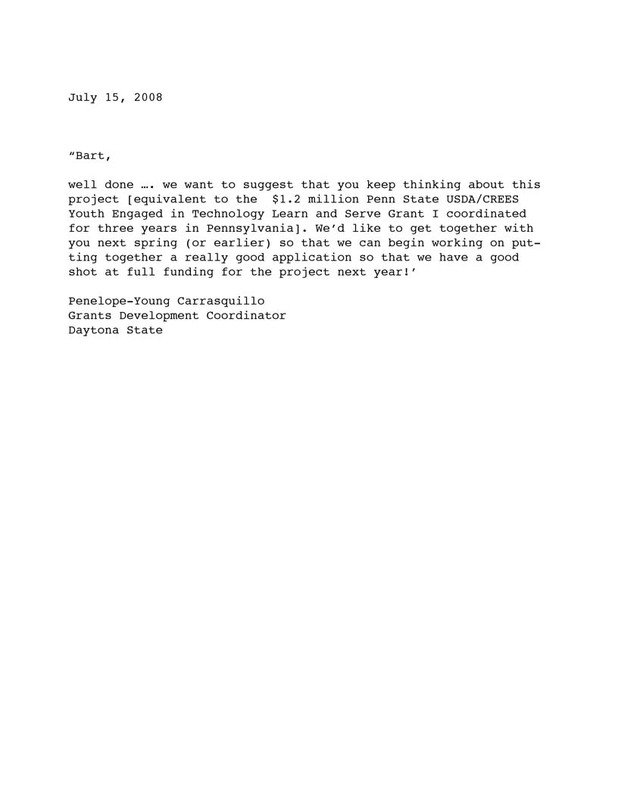 we want to suggest that you keep thinking about this project [equivalent to the $1.2 million Penn State USDA/CREES Youth Engaged in Technology Learn and Serve Grant you [Bart] coordinated for several years with Penn State Cooperative Extension in Washington County, Pennsylvania]. We’d like to get together with you next spring (or earlier) so that we can begin working on putting together a really good application so that we have a good shot at full funding for the project next year!